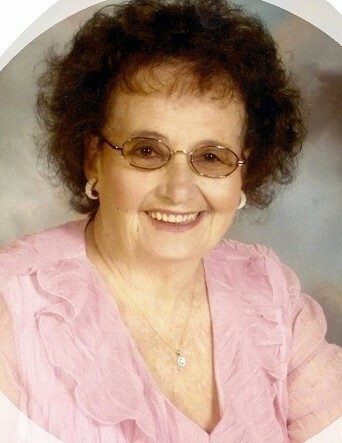 Obituary for Janet Mae (Fark) Schaffner | Cromes-Edwards Funeral Home & Crematory, Inc.
JANET MAE SCHAFFNER, age 85 of Botkins, passed away Monday, February 4, 2019 at 4:03 PM at Heritage Manor Nursing Home in Minster. She was born on September 28, 1933 in Sidney, Ohio, the daughter of the late Marvin Fark and Kathleen E. Ziegler. On Febuary 26, 1951 she first married Harold E. Seem who preceded her in death on November14, 1984. On August 9, 1969 she married Vernon E. "Bunny" Schaffner who preceded her in death on January 2, 2000. She is survived by six children, Jacqueline (Mike) Hutchison of Englewood, OH, Sherry (Joe) Wiggins of Haughton, LA, Debbie (Jim) Roepcke of Liberty Lake, WA, Joyce Allen of Columbus, OH, David Schaffner of Englewood, OH, and Jeff (Monica) Schaffner of Mechanicsburg, OH, 15 grandchildren, numerous great grandchildren and great-great-grandchildren, and her special K-9 companion, Precious. She was preceded in death by one brother, Marvin Fark, and two grandsons, Nathan Allen, and Jason Hutchison. Mrs. Schaffner was a homemaker. She enjoyed bird watching, camping, and spending time outside. Funeral Services will be held Friday, February 8, 2019 at 1 PM at Cromes-Edwards Funeral Home, 302 S. Main Ave, Sidney, with Pastor Gary Morgan officiating. Burial will follow at Glen Cemetery in Port Jefferson. The family will receive friends on Friday from 11 AM until the hour of service.